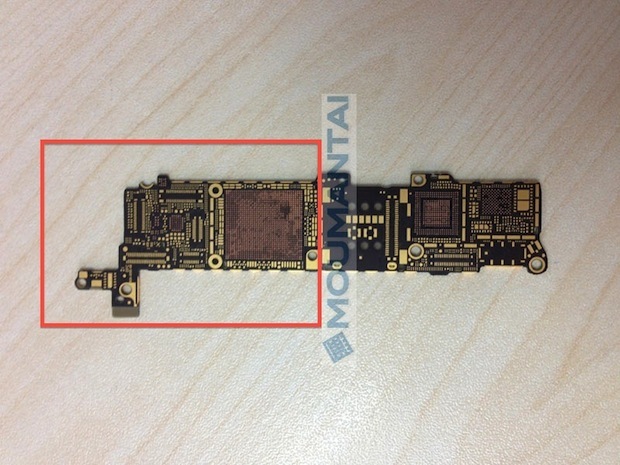 A new set of images showing the alleged iPhone 5S printed circuit board was published by an Apple parts supplier. 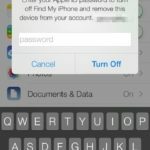 A first look at the images reveals a major internal redesign, just as some expected. But on the other hand, these images could also show the printed circuit board of the rumoured low-cost iPhone, which is whispered to sport the same 4-inch screen as the iPhone 5. 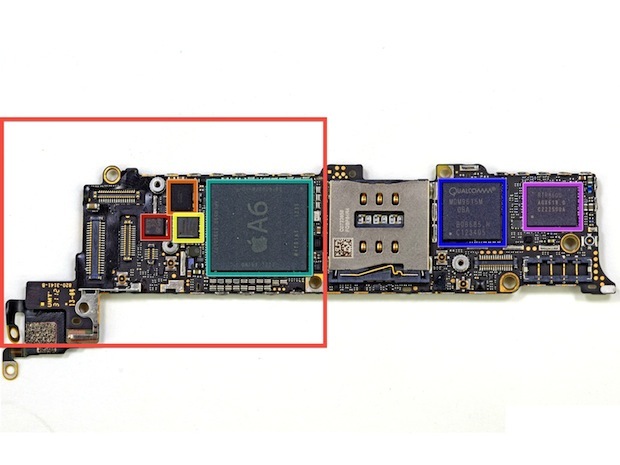 We have taken the iPhone 5 PCB to compare it with the alleged iPhone 5S PCB. 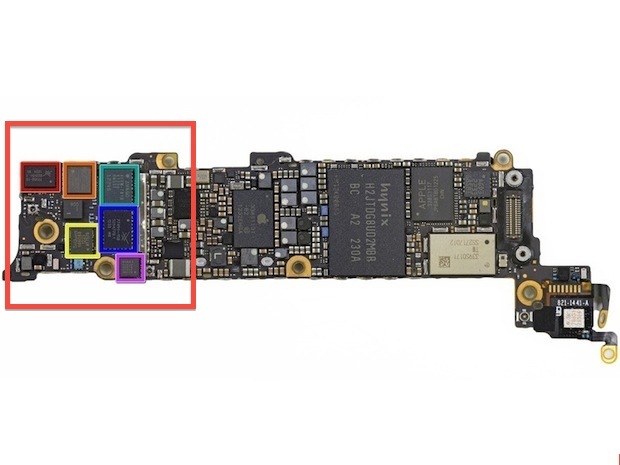 As you can see, according to the iFixit teardown, the highlighted part of the iPhone 5 logic board contains: a Skyworks 77352-15 GSM/GPRS/EDGE power amplifier module; an SWUA 147 228 RF antenna switch module; a Triquint 666083-1229 WCDMA/HSUPA power amplifier/duplexer module for the UMTS band; and Avago AFEM-7813 dual-band LTE B1/B3 PA+FBAR duplexer module. 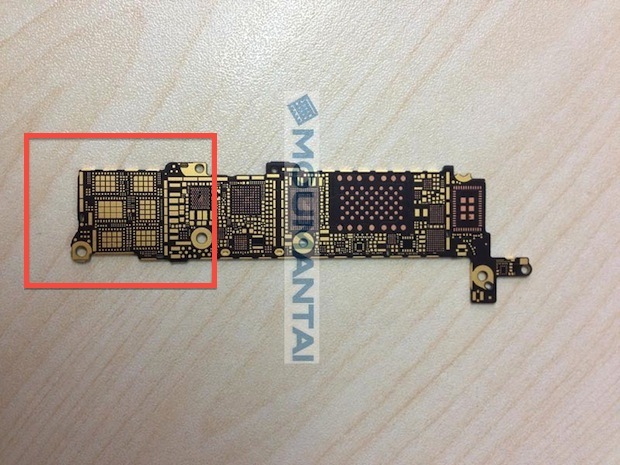 The iPhone 5S PCB, however, shows a completely redesigned interior, as you can see in the image below. We have highlighted the same part of the logic board. Now, we can’t confirm the authenticity of the leaked images, but Moumantai has leaked several parts of what they claim to be the iPhone 5S. However, while we are waiting for the official confirmation, we will likely see some exciting changes in the upcoming high-end model. Or maybe the low-cost model?